“Top 3 Teams Inaugural American Crappie Trail, Grenada Lake, Mississippi. Left to right, Steve Coleman 3rd Place, Terry Stewart 2nd Place, Tom Hankins 1st Place, Ron Bilbrey 1st Place, Cole Stewart 2nd Place, Ronnie Capps 3rd Place.” Photo courtesy of The American Crappie Trail. High winds, rain, cold and storms greeted over 100 tournament Anglers at the American Crappie Trail (ACT) inaugural tournament this past weekend, March 10th and 11th, 2017. The tournament took place at Grenada Lake, Mississippi, home of the 3 lb Crappie which did not disappoint. Although conditions forced many fish to “lock jaw,” 3 lb. Crappie were brought to the scales to the delight and cheers of teams and spectators. The American Crappie Trail (ACT) was designed and operated by Crappie Fishing Pro Matt Morgan. Matt believes that Crappie Tournament Anglers have taken a back seat for years and he is dedicated to taking the sport of Crappie Tournament Fishing to another level. Much of the ACT tournament format is designed to follow popular Bass Fishing Tournaments. Video and camera crews are placed in the boat with leading tournament teams and spectators get to share in the excitement as the teams, hook, fight and land fish. Spectators also see first hand what teams are using to catch their fish, techniques and how decisions are made from the leading teams. We had the privilege of attending the inaugural banquet held on Thursday evening and to our delight we were extremely impressed with the professionalism, sponsor support and caliber of elite teams fishing the American Crappie Trail. Legends of the sport, 8 Time National Champions Ronnie Capps and Steve Coleman, recent 3 Time National Champions Kyle Schoenherr and Rodney Neuhaus and numerous past event champions and winners! The elite of the elite were in attendance at this event while another legend of the sport plays a huge role in bringing the action to spectators, Sam Heaton. Tom Hankins and Ron Bilbrey are the Inaugural American Crappie Trail Grenada Lake, Mississippi Winners.” Photo courtesy of The American Crappie Trail. 63 Teams competed for $54,645.00 in prizes at the first ever American Crappie Trail Tournament! Winners of the inaugural American Crappie Trail (ACT) Grenada Lake, Mississippi Tournament and winners of a NEW RT188c Ranger Boat was our very own Crappie Crazy Pro Staffers Ron Bilbrey and Tom Hankins! Ron and Tom are not only great guys that represent the sport in a positive light but elite Anglers as well. Ron and Tom led after day #1 with a 7 fish limit of 14.97 lbs. They were one of only 3 teams to weigh a limit of 7 fish on day #1. Day #2 would be just as challenging with high winds, rain and cold weather throughout the day. The team switched from slow trolling (spider rigging) Crappie Crazy jigheads and softbaits tipped with minnows on day #1 to single pole jigging with jigs and softbaits on day #2. Day #2 held true with the saying of Grenada Lake being the home of the 3 lb. Crappie, Ron and Tom brought in a 7 fish limit that weighed 14.53 lbs. and a kicker Crappie that weighed 3.01 lbs! Tom and Ron was the only team to weigh in the tournament limit of 14 fish! Photo courtesy of Anne Parker Lake Fork Trophy Lures. Taking 2nd Place was the local team of Terry Stewart and Cole Stewart with a weight of 25.33 lbs with 13 of the 14 fish limit. The team was trolling large minnows and caught fish 4 feet deep and fish off the bottom. They won $6450.00 in prize money for their 2nd place finish! Terry and Cole are proud members of the Magnolia Crappie Club. Rounding out the top 3 teams were the legends of Crappie Fishing Tournaments, Ronnie Capps and Steve Coleman. Steve explained, “We have fished in bad conditions but never in my life have I seen such bad conditions this far south for fishing.” The team weighed in 10 of 14 fish with a total weight of 20.27 lbs. Ronnie and Steve took home $4400.00 for their 3rd place finish. We would like to thank Matt Morgan and the entire staff of the American Crappie Trail. 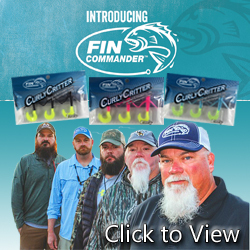 We believe this is the next level for tournament Crappie Anglers and this is what the sport needs. An exciting format for the spectator to view and a payback of 100% to the Crappie Anglers who spend countless hours and money to compete. The key to it all is their dedication to conservation. Generations to come can only experience great fisheries such as Grenada Lake if we are stewards of what we have been given. 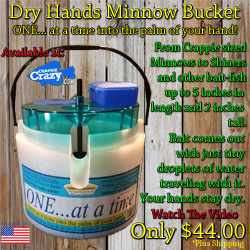 We at Crappie Crazy believes this is vital for the future of Crappie Fishing. Congrats to all the teams who fished with the American Crappie Trail and we look forward to the future! “Ron Bilbrey and Tom Hankins with 4 fish from their Day #1 limit of 7 fish.” Photo courtesy of Anne Parker, Lake Fork Trophy Lures. “Final results from American Crappie Trail Grenada, Mississippi.” Results courtesy of American Crappie Trail.